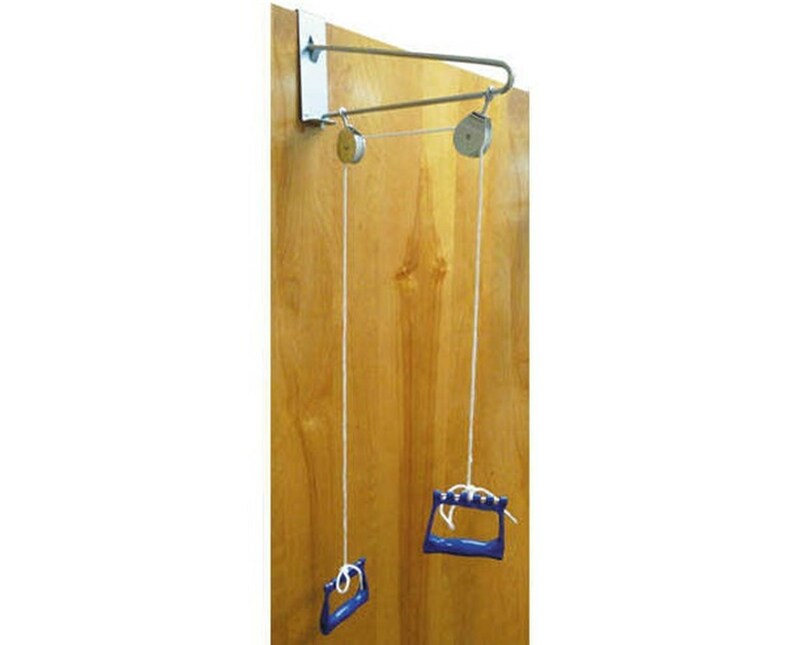 The Hausmann Industries Door Mounted Pulley mounts on top of any hinged door and is used for any light duty, upper extremity exercise. This overhead pulley is durable, with a two-inch nylon bearing swivel. 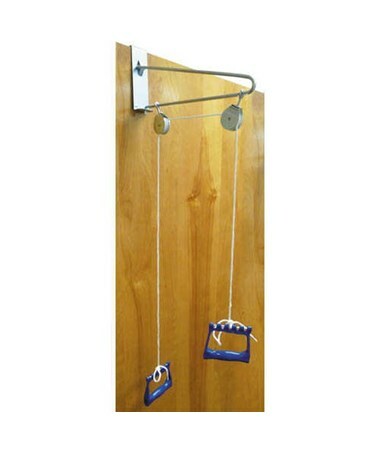 Includes one rope and two handles, for ease of use.